Probably the number one question I hear from new travel writers and bloggers…. The answer, unsurprisingly, is very similar to that for the old joke “How do you get to Carnegie Hall” (answer: practice, practice, practice! )….in this case it’s “work, work, work”. 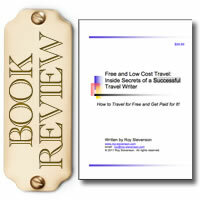 However, if you’re looking for much more from an answer, much more in the way of practical advice, then I highly recommend that you pick up a copy of Roy Stevenson’s eBook, “Free and Low Cost Travel: Inside Secrets of a Successful Travel Writer“. The eBook is only 35 pages long, but each page is full of very practical, step-by-step advice about exactly how to travel for free or as near to it as possible, and, while primarily aimed at travel writers looking to be published in print, quite a bit of his solid advice will benefit travel bloggers as well. I particularly like that the eBook is really very thorough – Roy seems to have thought of every possible question a reader could have, and answered it in a clear and understandable fashion. It’s also very logical in the flow of how his information is presented, and I loved all the included sample letters for querying editors and potential travel hosts. I also like that Roy includes a good number of “hot tips”, clearly culled from years of experience and designed to save a beginning writer much of the learning curve that they’d otherwise have. Roy’s guide is so thorough it’s hard to find areas for improvement……the only thing I would like to have seen included is information on the benefit of cultivating good relationships with PR firms that specialize in the travel and tourism industries, and advice on how to go about doing so, in addition to the CVBs and tourism departments that he does cover. But I have to admit that working with PR firms is only a small piece of the puzzle, and not strictly necessary by any means. Any travel writer or blogger who follows Roy’s suggestions will, without doubt, be able to enjoy the perks of free or low-cost travel that can come with the job. If you’re new to travel writing or blogging, and interested in learning how to fund your travels in full or in part (and who isn’t? ), then you should definitely read this eBook – the example letters and the “hot tips” make it worth the price, as they’ll save you time and effort and increase your odds of success. Stay tuned as next week I’ll be publishing my review of Roy’s other available eBook, “Marketing Your Magazine Articles: Inside Secrets of a Successful Freelance Writer” – another interesting read! This entry was written by Trisha Miller, and posted on Monday, August 22nd, 2011. This sounds like a good read for anyone who visits this site. I will have to pick it up asap! Travel writers have one of the best jobs on the planet. We all would like to get paid trips to the best holiday destinations on the planet, and to live outside an office cubicle not having to answer to a boss. 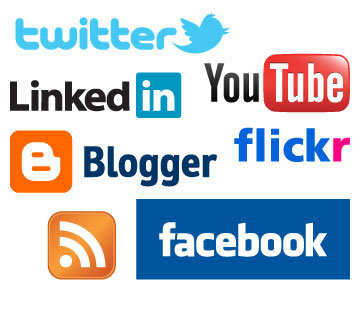 It is not that easy as it seems, and a lot of hard work is needed to produce articles that are worthy to be read.